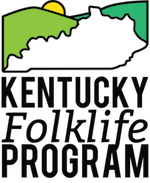 The WKU Department of Folk Studies and Anthropology and Kentucky Folklife Program (KFP) are proud to present Pioneer Cabin Concerts — the best in acoustic music, presented in the intimate living room of the historic Pioneer Log Cabin on Western’s campus, home to the Kentucky Folklife Program. These concerts feature a varied selection of artists whose work relates to American roots music, in a setting that lends itself to interpretation as well as performance. Keep an eye on KFP’s website and social media for latest information on upcoming concerts.